There are some features that most telemedicine systems have in common. Most support video conferencing with audio via the internet on the patient’s PC or mobile device, for example. Vendors trying to sell you the lowest cost solution may argue that all telemedicine software is the same, but nothing could be further from the truth. There are six important features that set the best solutions apart from the also-rans. These features are the key to ensuring that telemedicine is adopted and successful within your practice. If you insist on a solution that has them all, you’ll be glad you did. Medical office buildings and hospitals are infamous for having sluggish internet connections. At the same time, live video conferencing applications are notorious bandwidth hogs. Not a good combination. If the solution is slow or video quality is poor, your implementation will likely fail. That’s why it is important to look for a telehealth solution that is designed to work well under less than optimal network conditions. Some telehealth solutions, especially the very low-cost ones, offer very limited support for providers and no support at all for patients. In order for your telehealth program to be a hit with your staff and patients alike, choose a solution that will provide full, in-application support for your team and your patients. Some applications for video visits allow for patient-driven online appointment requests. This takes control of the telehealth program out of the hands of your staff. Provider scheduling, on the other hand, lets you decide when telemedicine appointments will be available. You don’t want your telehealth provider to come between you and your patients, potentially confusing them about who is providing their care. Choosing a solution that will include your brand identity helps providers and patients feel that telemedicine is an extension of your practice. You maintain a consistent brand across every type of interaction. Telemedicine solutions that integrate with your EHR system make your staff more efficient and reduce the opportunities for error. 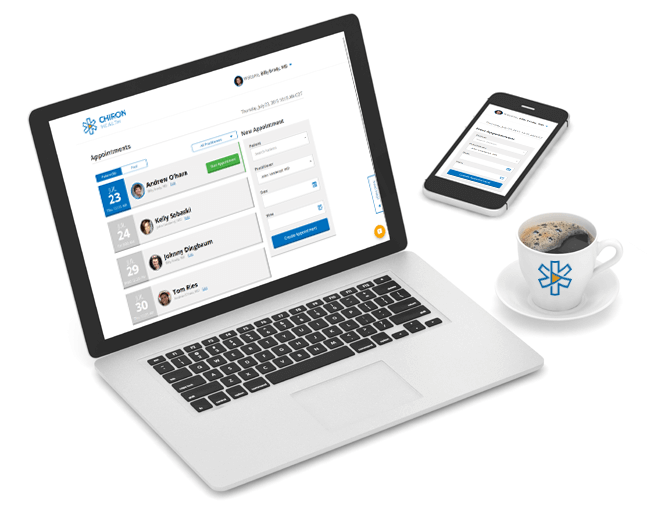 You can seamlessly schedule appointments and share patient information between systems. One of the reasons you are likely considering adding telemedicine to your practice is to increase revenue. Of course, you can’t do that unless you are reimbursed for your video encounters. The complex landscape of state regulations and payer policies makes it difficult to be certain which patients are eligible for reimbursement. You and your team don’t want to spend your valuable time becoming telehealth reimbursement experts. That’s why you need a solution that will take the information about each patient, apply it against a sophisticated software algorithm, constantly updated by reimbursement experts, to determine if the patient is eligible. Adding telemedicine to your practice is smart. Choosing a solution with these advanced features is smarter still. Doing so will greatly increase the likelihood that your program will be a success. Your patients and staff alike will thank you for it. (And so will your bottom line.) Interested in offering reimbursable video visits in your practice? Getting started with Chiron Health’s user-friendly platform has never been easier!